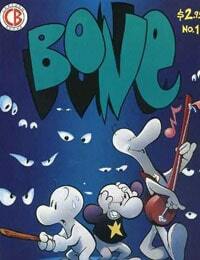 Bone (1991) Average 0.00/5 - out of 0 total votes. Three modern cartoon cousins get lost in a pre-technological valley, speanding a year there making new friends and out-running dangerous enemies. Their many adventures include crossing the local people in The Great Cow Race, and meeting a giant mountain lion called RockJaw: Master of the Eastern Border. They learn about sacrifice and hardship in The Ghost Circles and finally discover their own true natures in the climatic journey to The Crown of Horns.